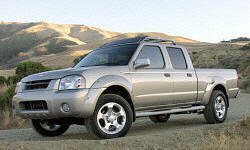 Nissan Frontier Fuel Economy Pros and Cons | Page 1 of 1 | Why Not This Car? Better than the Tacoma, but still leaves me wishing for more. Averaging 22mpg for th full 57,000 miles I have driven. Winter mileage is less and summer is more Using winter snow and ice tires in winter months. Hwy tires in summer months. This 2011 Frontier Crew Cab at 4,000 miles is averaging 19-21 hwy, 16-19 city depending on weather and traffic conditions. Well it has a 4.0L V6, so I guess I should have expected it. It does have nice power though. Even though it is a powerful V6, economy was on par with much more powerful V8 engines. Overrated to what is identified. 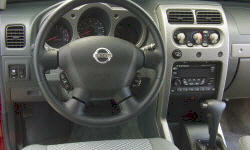 I know it is a truck but the mileage is far from what Nissan claims. Average 17/21 during the summer. A friends 96 F-150 (also 4x4) gets 16/20 with a V-8. Expected much better mileage from a small truck.